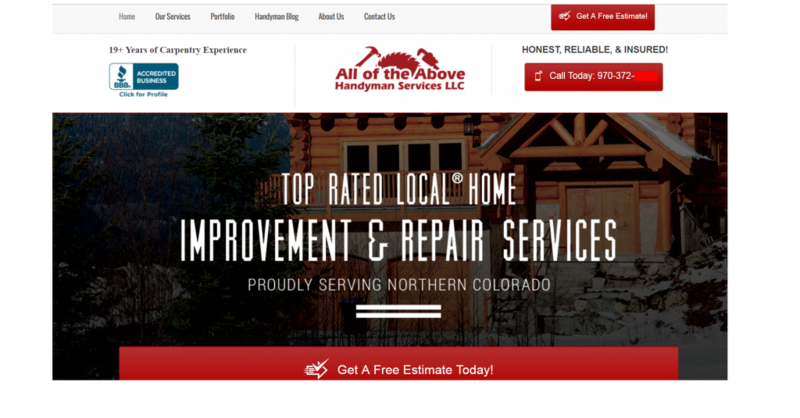 With a local service like a handyman, high search ranking plus a conversion-based website design equals leads. Here’s how it’s done at Marketing 360®. 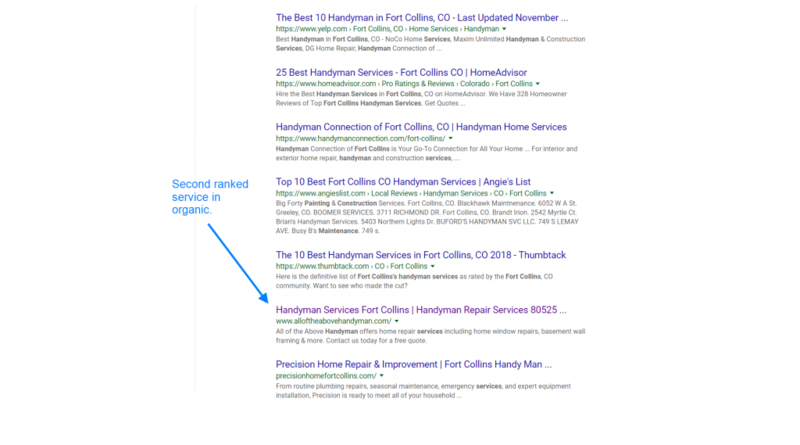 If there is anything that works well for handyman lead generation, it’s visibility on search followed by traffic to a website that converts leads. This case study proves it. 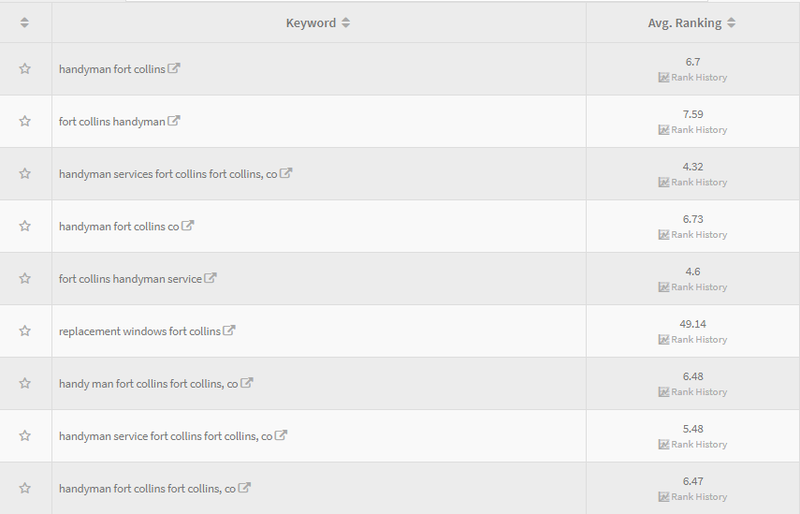 Strong calls to action repeated in multiple locations on the page (get estimate form; phone). Trust factor with BBB badge and Honest, reliable, and insured phrase. Heading a subheading that makes it clear what the service is and what area he serves. Nearly 20% conversion rate from organic and a healthy 16% from paid. 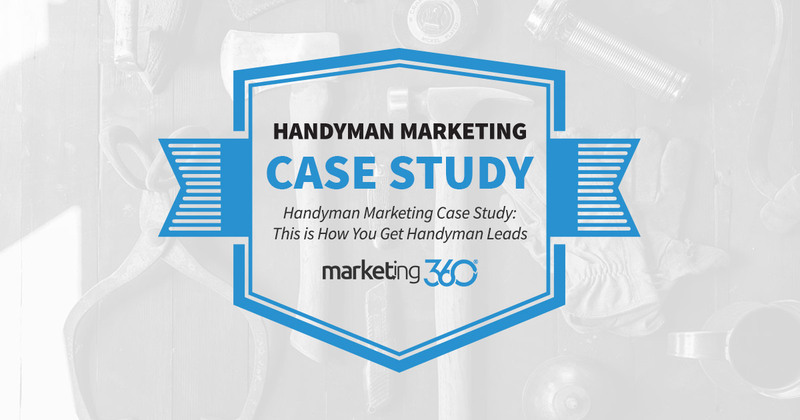 This handyman is getting high-quality leads that easily pay for his marketing investment.